Hapag-Lloyd shipping group, on Wednesday celebrated the official opening of its new office in Tema, the most important port city in Ghana. This according to the company means that henceforth, Hapag-Lloyd will manage most of its operational activities in West Africa, including Lagos Ports from this location. Industry analysts say the development further means that just as Ghana’s Accra International Airport recently assumed the aviation hub of West Africa leaving Lagos and Abuja to the cleaners, Tema Port has also assumed the regional maritime hub of West and Central Africa. Business Hilights recalls that the GDP of West Africa has grown significantly in the last two years, rising by an average of 6 percent. Ghana numbers among the fastest-growing economies in the region. This growth is primarily driven by the trade in gold, but also in oil and gas products. Among Ghana’s most important export goods are cocoa, timber products and cashew nuts. 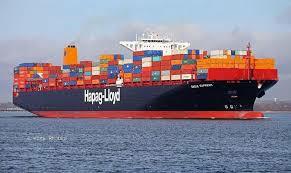 Besides, Hapag-Lloyd has massively expanded its presence in Africa over the last two years and established a fast connection from West Africa to Europe via what are now two services: the West Africa Express (WAX: Hamburg – Casablanca – Tangier – Dakar – Tema – Abidjan – Tangier – Antwerp – Hamburg) and the Mediterranean West Africa Express (MWX: Tangier – Algeciras – Cotonou – Lagos (Apapa & Pipan) – Tema – Tangier). In a statement emailed by the group to Business Hilights in Lagos noted that both services will call at the port city of Tema, which is not far from Ghana’s capital, Accra. Plans call for the port’s annual handling capacity to be tripled by mid-2019, from 1 million to 3 million TEU. Hapag-Lloyd is expecting additional growth opportunities from this capacity expansion.